Finished playing with the card I started yesterday....it .needs to be in the mail later this week. It is a bright and cheerful card that carries special Birthday wishes with it to a friend. I just love this little Lily of the Valley stamp "Rosie with Cake" - like all of their stamps she is just adorable. Just received the Christmas ones I ordered last week and all I can say is 'sweet, sweet, sweet'!!! 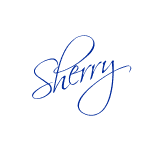 Even sweeter is the Cheery Lynn Fanciful Flourish die I used to surround my Spellbinders Lacey Circle...The delicacy and details of this flourish are fabulous. I could play with them all day. Materials used: Cardstock, Ribbon, Martha Stewart Punch, Cheery Lynn Fanciful Flourish Die, Recollections Flowers, Spellbinders Lacey Circle Die , Lily of the Valley Stamp, Copic Markers, CB Embossing Folder. They just installed my counter tops this morning and I have been unpacking and putting things where they belong. Okay, I have putting things where ever I can right now, knowing I will rearrange them several more times these next few months as I work and see where I think I need everything to be. It is just so exciting to finally have things out of boxes and in view.....couldn't help myself I got the ink out and started stamping. Have a card I need to get ready and what you see below is the start of the project.......haven't worked with my copics in two months - oh boy, did it feel good to get them out. Love this little Lily of the Valley stamp and have been wanting to put her on paper and play. Also, playing with my new Die-namics die cut and some felt to make some little flowers....may or may not use them. Card making is a craft/hobby very close to my heart. I have enjoyed playing with paper and ink for almost 10 years now. Most of the cards I make go to friends, family and the occasional place that purchases them. Since I feel I need a purpose for what I make - I do keep a stash - but we all have to admit that our stash can grow and get a little out of hand. 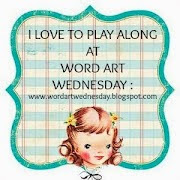 I have often not jumped into some of the fabulous challenges in blogland feeling the card I create for the challenge 'may' not have a place to go to and my stash is at its limit. So imagine my joy when I happened upon a blog (with challenges) that collects cards to send to children in the hospital!!! As I get ready to work on cards for the fall holidays I am excited thinking of cards to make and send, as well as taking part in challenges now that don't have to be specific to the card I need at the moment. Maybe ya'll have been aware of this and smarter than me all along but I am really excited and wanted to share this blog with you in case you too might want to send them some cards. I know many people make cards for our soldiers - and that is an awesome thing to do. But, sometimes the cards we make are more childlike in nature and these ladies provide you with a great way to use them. 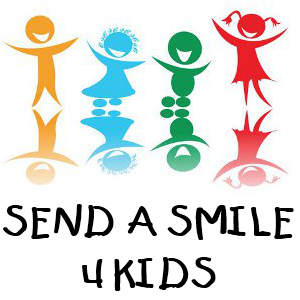 Check out Send a Smile 4Kids and think about sending some of your cards to them. They come today to measure for the counter tops for my craft area, I am sooooo excited. It has been hard to even begin unpacking to do anything as there is no place to put things....my work table is packed. Yes, I admit I was extremely spoiled in my little corner of the old basement, everything was laid out and within reach. We have been here four weeks now - I am sorely missing my space and a place to be creative. Christmas will be here before I know it and I have lots of cards and projects to work on. With the counter tops ordered and ready to come soon I now have some real incentive to clear out boxes and start putting what I can in order. WOO HOO!! !